Travel tattoos? First of all, why are you getting it? I want to share my experience. I only have one tattoo, a little tattoo on my left hip. I got it in Liverpool when I was seventeen. It was my first important trip, so I decided that it had to be remembered. Now everytime I see it I remember that experience and all the people that I met there. Now, let’s see some beautiful examples. 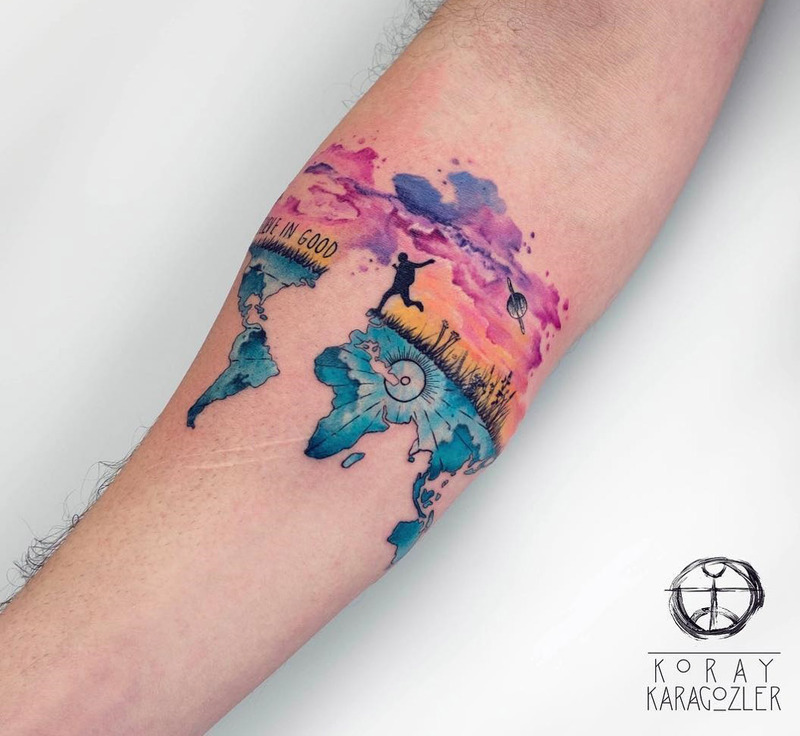 First, I want to show you a turkish tattoo artist that I found on the web. His name is Koray Karagozler. His work are amazing. You can have at his Instagram account here. He uses geometric style mixed with watercolor technique and the result is great. These are two travel tattoos I love. Another incredible travel tattoo I found is the following one. The artist is Matt Beirne, his studio is in Florida. You can have a look at his Instagram account here. Matt’s images looks real. The wide range of nuances is great. Here are two beautiful tattoos by Michele Mercuri, an artist from Calabria, Italy. He has an awesome gallery, you can see it here. The first one shows the passport stamps of the visited countries. The second one is the amazing watercolor skyline of Florence. If you love travel and photography, here’s another great idea by Lars Lunsing, a tattoo artist from Netherlands. This is his gallery on Instagram. In his work, Lars uses a brilliant dots and lines style and in this case he combines a mandala shape with a camera. Do you like a simple but refined and coloured style? You should have a look at Jacke Michaelsen‘s portfolio. She’s an artist from Brazil. I love her style. In the end, another tattoo about travel that I love is this mandala map. The artist is Daniela, tattooer of the Meraki Tattoo Studio in Colombia. You can see her tattoos here. 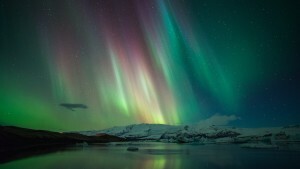 If you need a trip to remember to get a new tattoo, have a look at Iceland Tours. Win a €100 Amazon gift card. Discover how!